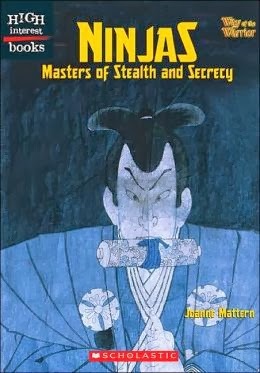 My classroom library has four copies of Ninjas: Masters of Stealth and Secrecy, by Joanne Mattern. Somehow, none of the copies are checked out, which is something I need to rectify. This book is fantastic. I used to live in Japan, so I am predisposed to enjoying this topic, but I think anyone would be fascinated by the lives of these mysterious people. I learned a lot of cool facts, like ninjas were trained to dislocate their jaws so that they could not reveal secret information. There were so many things that I was dying to share, the sign of a terrific nonfiction book. My high school boyfriend was (and still is) Navajo. Although his father was a distinguished professor on the subject, I never learned much about their culture because we were very busy listening to Korn and hanging out in Harvard Square. Thinking of my childhood love, I selected The Navajo. I had read Code Talker, so knew a little about that period of time, but otherwise, I was starting fresh. 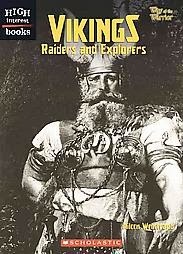 There is a lot of interesting cultural information, presented with respect and admiration. We are working on big ideas and supporting details in my classes. With the big idea of "The Navajo were treated unfairly", I was able to make a giant list of supporting details. I want my students to read this book, as they don't learn about this culture in Colombia. Then, I want to hand them Code Talker and set them loose.